James Marshall "Jimi" Hendrix (born Johnny Allen Hendrix; November 27, 1942 – September 18, 1970) was an American musician, guitarist, singer, and songwriter. Although his mainstream career spanned only four years, he is widely regarded as one of the most influential electric guitarists in the history of popular music, and one of the most celebrated musicians of the 20th century. The Rock and Roll Hall of Fame describes him as "arguably the greatest instrumentalist in the history of rock music". 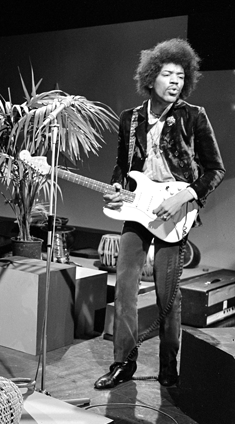 Hendrix was the recipient of several music awards during his lifetime and posthumously. In 1967, readers of Melody Maker voted him the Pop Musician of the Year and in 1968, Billboard named him the Artist of the Year and Rolling Stone declared him the Performer of the Year. Disc and Music Echo honored him with the World Top Musician of 1969 and in 1970, Guitar Player named him the Rock Guitarist of the Year. The Jimi Hendrix Experience was inducted into the Rock and Roll Hall of Fame in 1992 and the UK Music Hall of Fame in 2005. Rolling Stone ranked the band's three studio albums, Are You Experienced, Axis: Bold as Love, and Electric Ladyland, among the 100 greatest albums of all time, and they ranked Hendrix as the greatest guitarist and the sixth greatest artist of all time. Jimi Hendrix was primarily of [nb 1] Hendrix's paternal grandfather, Bertran Philander Ross Hendrix (born 1866), was the result of an extramarital affair between a black slave woman, also named Fanny, and her white overseer, a grain merchant from Urbana, Ohio, and one of the wealthiest white men in the area at that time. 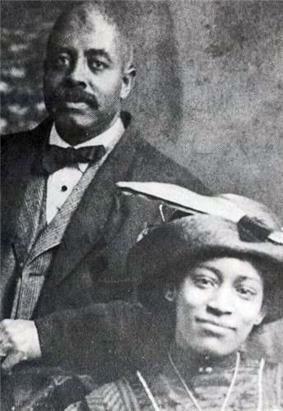 On June 10, 1919, Hendrix and Moore had a son they named James Allen Ross Hendrix; people called him Al. Stationed in Alabama at the time of Hendrix's birth, Al was denied the standard military furlough afforded servicemen for childbirth; his commanding officer placed him in the stockade to prevent him from going AWOL to see his infant son in Seattle. He spent two months locked up without trial, and while in the stockade received a telegram announcing his son's birth. [nb 3] During Al's three-year absence, Lucille struggled to raise their son, often neglecting him in favor of nightlife. When Al was away, Hendrix was mostly cared for by family members and friends, especially Lucille's sister Delores Hall and her friend Dorothy Harding. Al received an honorable discharge from the US Army on September 1, 1945. Two months later, unable to find Lucille, Al went to the Berkeley, California home of a family friend named Mrs. Champ, who had taken care of and had attempted to adopt Hendrix. There Al saw his son for the first time. After returning from service, Al reunited with Lucille, but his inability to find steady work left the family impoverished. They both struggled with alcohol abuse, and often fought when intoxicated. The violence sometimes drove Hendrix to withdraw and hide in a closet in their home. His relationship with his brother Leon (born 1948) was close but precarious; with Leon in and out of foster care, they lived with an almost constant threat of fraternal separation. In addition to Leon, Hendrix had three younger siblings: Joseph, born in 1949, Kathy in 1950, and Pamela, 1951, all of whom Al and Lucille gave up to foster care and adoption. The family frequently moved, staying in cheap hotels and apartments around Seattle. On occasion, family members would take Hendrix to Vancouver to stay at his grandmother's. A shy and sensitive boy, he was deeply affected by his life experiences. In later years, he confided to a girlfriend that he had been the victim of sexual abuse by a man in uniform. On December 17, 1951, when Hendrix was nine years old, his parents divorced; the court granted Al custody of him and Leon. In 1957, while helping his father with a side-job, Hendrix found a ukulele amongst the garbage that they were removing from an older woman's home. She told him that he could keep the instrument, which had only one string. Learning by ear, he played single notes, following along to Elvis Presley songs, particularly Presley's cover of Leiber and Stoller's "Hound Dog". [nb 5] By the age of thirty-three, Hendrix's mother Lucille had developed cirrhosis of the liver, and on February 2, 1958, she died when her spleen ruptured. Al refused to take James and Leon to attend their mother's funeral; he instead gave them shots of whiskey and instructed them that was how men were supposed to deal with loss. [nb 6] In mid-1958, at age 15, Hendrix acquired his first acoustic guitar, for $5. Hendrix earnestly applied himself, playing the instrument for several hours daily, watching others and getting tips from more experienced guitarists, and listening to blues artists such as Muddy Waters, B.B. King, Howlin' Wolf, and Robert Johnson. The first tune Hendrix learned how to play was the theme from Peter Gunn.